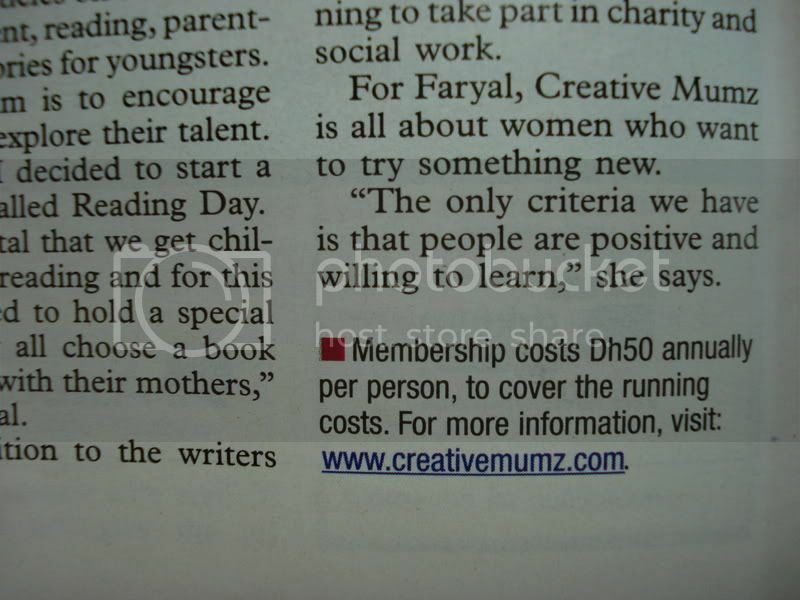 From their website : "
Creative Mumz is a group for mums living in Dubai and Sharjah, willing to share their skills and creativity. We meet with the motive of optimizing our creative energies and so indulge in interesting activities, presentations, art and craft demonstrations and workshops. 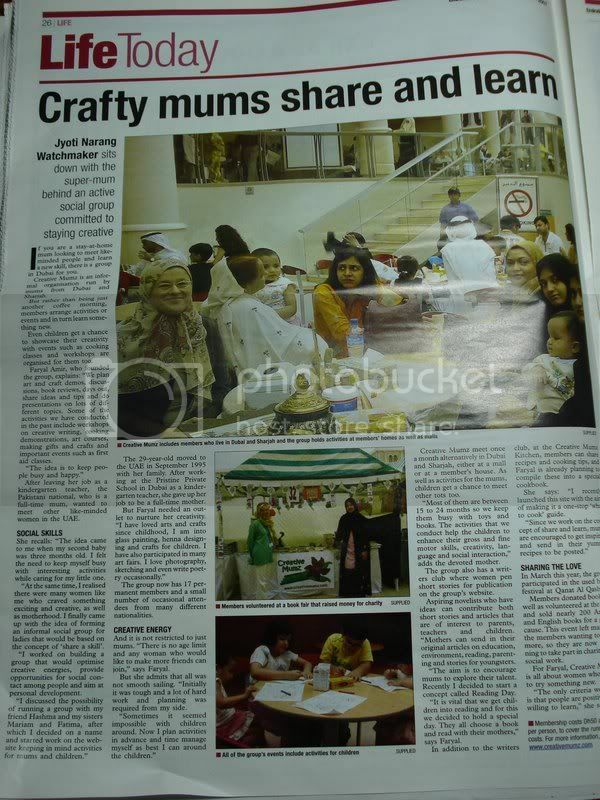 All mums living in Dubai and Sharjah are welcome to join Creative Mumz meet ups to explore their talents. Even if you are not a mum yet, and would like to spend time with a bunch of creative and happy ladies, do join us in our up coming meeting.